Paramount Pictures has cast Zac Efron to star in the Baywatch reboot alongside Dwayne "The Rock" Johnson. In the TV series' rebooted story, Efron’s rebellious character must learn to work with Johnson’s straight-laced lifeguard in order to save their beach from an evil oil tycoon. Horrible Bosses director Seth Gordon is on board to direct the comedic re-imagining of the David Hasselhoff and Pamela Anderson classic, which insiders say will have a similar tone to the 21 Jump Street reboots. Screenwriters Damian Shannon and Mark Swift wrote the script’s most recent draft. With Efron on board, The Hollywood Reporter claims that Baywatch will start filming around February 2016. 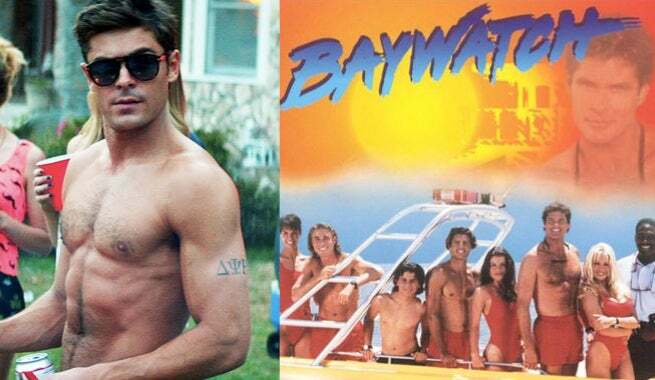 Are you excited for Zac Efron in the Baywatch Reboot? Let us know in the comments!